Why is Google asking for a captcha? Like many people, I have been using Google search for a long time, but today for the first time I was challenged by Google when I searched for ‘0118’ (I was trying to find the location of this UK STD number). 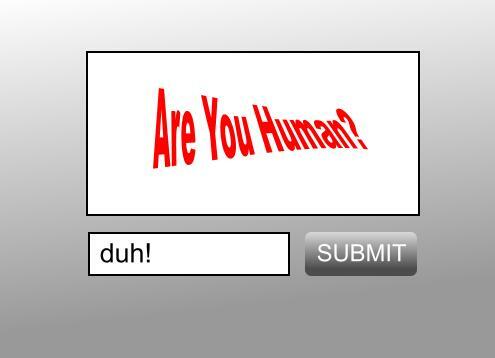 Google said that in order to check that the search was not coming from a ‘bot’ it needed to check that I was human. Now here’s the thing. Google said it would block me from searching for anything else unless I complied. Being someone that has spent most of his life fighting beaurocracy, red tape and authority, I wondered if anyone else was experiencing this. So I fired up Firefox (I was using Google Chrome when I got the message) and searched via Yahoo and sure enough it is hitting a large number of people, and has been for some time now. I guess I have just been lucky. As this was happening, a colleague searched Google for ‘why is Google asking for a captcha’ and irony of ironies he got the same block message as me! My guess for all this paranoia from Google is that the number of scammers, hackers and black hat operators is increasing so fast, they are finding it almost impossible to keep a cap on it. The Panda and Penguin updates to stop scammy sites, link-wheel and other backlinking techniques have been having a large effect too but have also hit legitimate sites. The internet is a massive battlefield and whilst it seems the machines are taking over, we can rest-assured they will fail so long as humans still have some input.